The 2K to 10k Betting/Bankroll challenge continues on Saturday,with the bankroll now down to £1920 (£76.00 stakes ) after Velvet Revolution finished disappointing fifth,behind Lord George in 2 mile handicap at Kempton.Having looked unsuited by slowly run race, never really picking up in straight. Moving on to Saturday we have fair looking card from Lingfield,with the main interest the 6 furlong (C3) Betway Handicap at 1.25 . 9 Runners declared for 0-95 (C3) 6f handicap on the poly track at Lingfield.This looks decent All Weather class 3 sprint.The four standout contenders are Reckless Endeavour , Boom The Groom, Kasbah & Human Nature. RECKLESS ENDEAVOUR : Five-year-old bay gelding ,winning 2 out 7 on All Weather .Last victory coming in 6f conditions race at Dundalk in September for Ger Lyons .Been running consistently for Jamie Osborne ,including finishing running on 1L third over C&D at Lingfield last time.Normally comes from off the pace ,will need luck in running from stall (2) ,though solid claims with clear run . BOOM THE GROOM : Seven-year-old bay gelding ,winning 4 out 22 on All Weather .Useful sprinter back in 2016 ,including winning valuable class 2 handicap at York ,off mark 102 .Not at same level these days ,though did return to form last time ,finishing creditable second to useful Udontdodou at Chelmsford in class 2 handicap .Up 2lb in weights ,looks still fairly treated on mark 96,though not won since August 2016 . 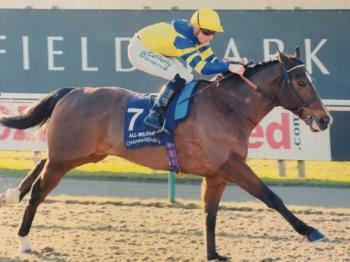 KASBAH : Six-year-old bay gelding ,winning 3 out 16 on All Weather .Last victory coming over C&D at Lingfield in class 2 handicap in January 2017 .Also finished good second in this race last year.Bounced back to form last time,finishing creditable second behind the progressive three-year-old Dubai One .Up 1lb in weights ,though still looks on decent mark . HUMAN NATURE : Five-year-old bay gelding ,winning 2 out 5 on All Weather.Shown progressive form this winter,including winning 6f class 4 handicap at Chelmsford last time in good style.Up 5lb in weights and stepping up in class,though looks open to plenty improvement on All Weather after just five starts .Interesting contender . VERDICT : KASBAH looks to be returning to peak form, after finishing good second last time over C&D.Has decent record here at Lingfield over six furlongs (2212),including finishing creditable second to Jordon Sport in this race last year .Still Looks well treated off mark 91 ,having finished nose second last season over C&D off 6lb higher mark .Odds around 6-1 look very fair each-way value . Of the others Reckless Endeavour looks next best,finishing just behind Kasbah last time when not getting the best of runs ,though again this hold up performer will need luck in running from low draw. Odds around 3-1 look short enough. Human Nature can't be ruled out after winning in good style at Chelmsford last time,though races off 5lb higher mark, will need career best to land this class 3 contest . A bettor should carefully consider these factors in order for him or her to have a good chance of winning. click to find out more here bitcoin betting..